A steadfast advocate for employee rights, I offer hands-on representation from my office at the Shivayi Law Firm in Pasadena, California. My practice includes serving workers who have suffered discrimination, harassment, retaliation and wrongful termination. Further, I have had numerous successes in cases involving wage and hour issues, class actions and contract negotiations. From the employer perspective, I am able to counsel companies on a range of matters such as addressing employee performance issues and developing handbooks. Having served on both sides of employee rights issues gives me the insight to adeptly handle any case that crosses my desk. In fact, I have approximately 15 years of experience exclusively representing employers. My law firm has a reputation for resolving matters efficiently. Though arbitration and other alternative dispute resolution methods are often used, I am an experienced litigator prepared to go to trial to protect my clients’ interests. 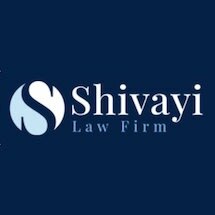 Fluent in English and Farsi, I make myself personally available to clients from the free initial consultation at the Shivayi Law Firm through the final decision. As a member of the California Employment Lawyers Association and the Los Angeles County Bar Association, I have access to an extensive network of resources and professionals invaluable to my practice.